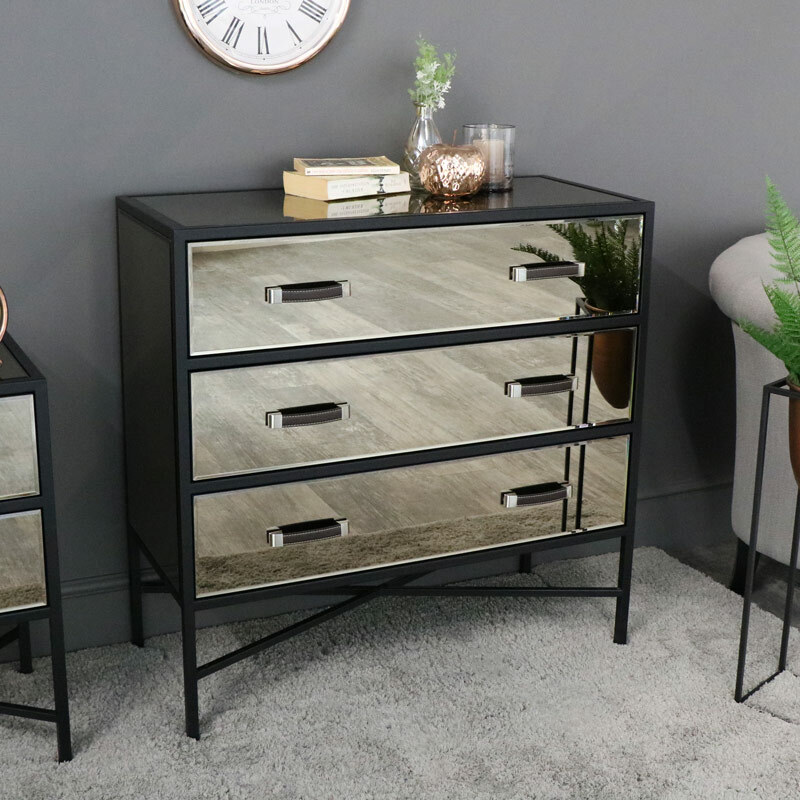 Large chest of drawers in stylish smoked copper mirrored finish. 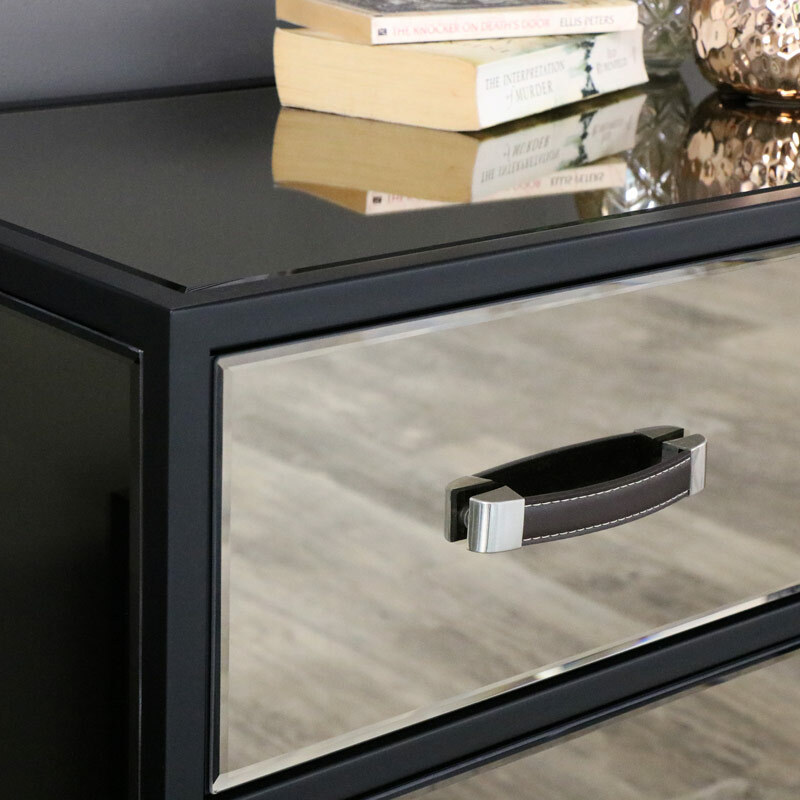 Black metal frame with 3 drawers for super clothing storage with leather strap handles. Fully assembled with metal runners. Matching furniture also available. The Vico Range offers a fresh new look for any home. Perfectly sized that will complement many decors. Constructed with black metal frame and smoked copper mirrored panels and leather strap handles. The chest comes fully assembled and ready for use. 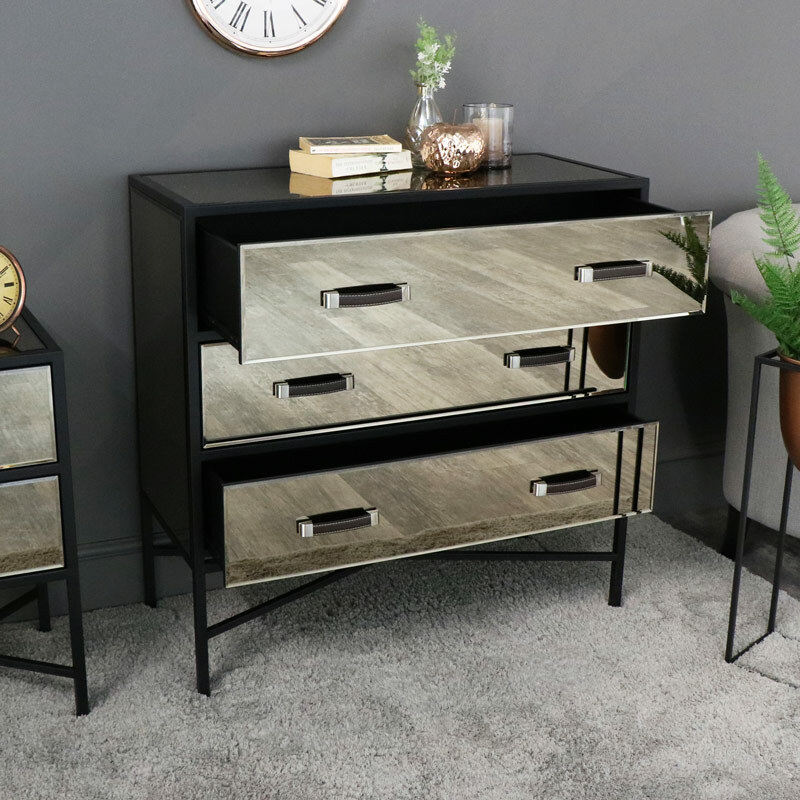 We have a fantastic selection of furniture available for the home. 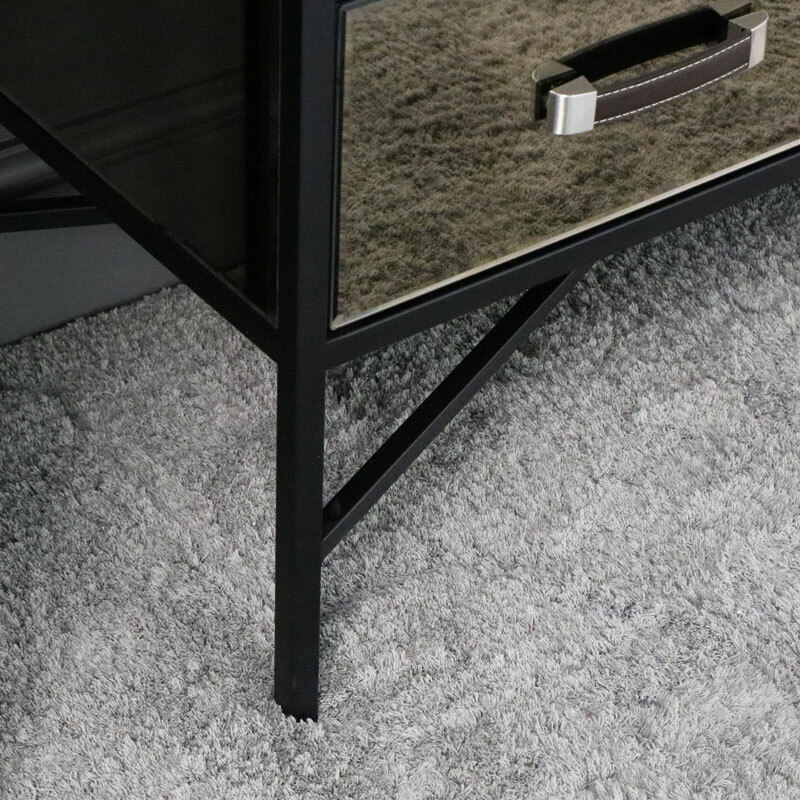 A great choice of styles, colours and finishes available with standalone pieces to full furniture ranges.